The history of the Vikings is explored by “Vikings” star Clive Standen, who joins experts in Europe to learn how the Vikings successfully invaded England and France. Long Island Medium is an American reality television series on TLC that debuted on September 25, 2011. Based in Hicksville, New York, the series stars Theresa Caputo as she claims to be a medium who can communicate with the deceased. The series follows her life as she juggles clients and her family. Caputo’s claims have been called fake by multiple sources, ranging from print publications like Wired Magazine to television news programs like Inside Edition. Both Caputo and TLC for have been criticized for profiting from what some consider a “charlatan” whose claims are “not true”. These are the true stories of the innocent and the unimaginable. Based on true events, A Haunting dramatises some of the scariest stories, revealing a world in which tragedy, suicide and murder have left psychic impressions so powerful that innocent people become forced to deal with them decades later. Through mesmerising first-person accounts, the mystery and origin of each haunting is powerfully revealed and leaves a lingering sense that life – and death – are much stronger then anyone could have possibly imagined. 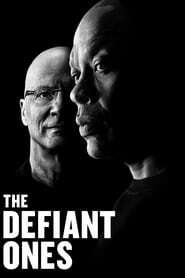 A four-part documentary series that tells the stories of Jimmy Iovine and Dr. Dre — one the son of a Brooklyn longshoreman, the other straight out of Compton - — and their improbable partnership and surprising leading roles in a series of transformative events in contemporary culture. Ax Men is an American reality television series that premiered on March 9, 2008 on History. The program follows the work of several logging crews in the second-growth forests of Northwestern Oregon, Washington and Montana. The show highlights the dangers encountered by the loggers. Following in the footsteps of other shows from Original Productions, like Deadliest Catch and Ice Road Truckers, the series is considered part of a recent “real-men-in-danger” television programming trend. Blood Relatives is an American documentary television series on Investigation Discovery that debuted on June 7, 2012. Narrated by Brenda Strong, the voice of Desperate Housewives character Mary Alice Young, the series examines murders that were committed within families. Blood Relatives has been renewed for a third season. Destination Truth is a weekly American paranormal reality television series that premiered on June 6, 2007, on Syfy. Produced by Mandt Bros. Productions and Ping Pong Productions, the program follows paranormal researcher Josh Gates around the world to investigate claims of the supernatural, mainly in the field of cryptozoology. Season three concluded on April 21, 2010, and currently holds the highest ratings ever for the series, which continued with a fourth season, beginning on Thursday, September 9, 2010, at 9:00 p.m. ET/PT. The fifth season began July 10, 2012. When the Nazis secure a heavy water plant to realize their plan to create an atomic bomb, the Norwegian Allies struggle to sabotage the operation. American Ninja Warrior is a sports entertainment competition spin-off of the television series Sasuke. The series began on December 12, 2009, in Los Angeles, with the top 10 competitors moving on to compete at “Mt. Midoriyama” in Japan. American Ninja Warrior succeeded G4’s American Ninja Challenge as the qualifying route for Americans to enter Sasuke. Beginning with the fourth season in 2012, regional finalists and wild card competitors competed on an identical Mt. Midoriyama course in Las Vegas rather than traveling to Japan to compete on Sasuke. NBC announced in September 2013 that it would air a special USA versus Japan series later that year wherein top American and Japanese competitors would go head-to-head on the Las Vegas Mt. Midoriyama course. The fifth season of American Ninja Warrior premiered on June 30, 2013 on G4. 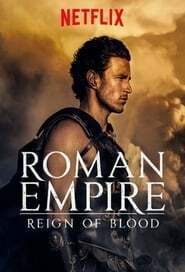 This stylish mix of documentary and historical epic chronicles the reign of Commodus, the emperor whose rule marked the beginning of Rome’s fall. An unprecedented look at life behind bars at Indiana’s Clark County Jail as seven innocent volunteers are sent to live among its general population for 60 days without officers, fellow inmates, or staff knowing their secret.